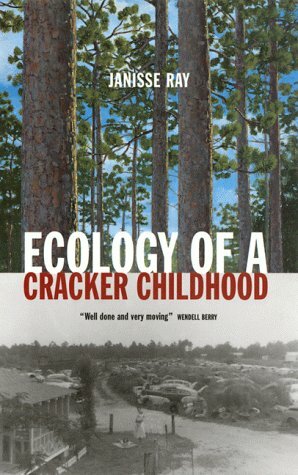 Chronicles the author's childhood in the rural forests of Georgia, her fundamentalist upbringing, and her battle to save the longleaf pine ecosystem of Florida and Georgia. The scrubby forests of southern Georgia, dotting a landscape of low hills and swampy bottoms, are not what many people would consider to be exalted country, the sort of place to inspire lyrical considerations of nature and culture. Yet that is just what essayist Janisse Ray delivers in her memorable debut, a memoir of life in a part of America that roads and towns have passed by, a land settled by hardscrabble Scots herders who wanted nothing more than to be left alone, and who bear the derogatory epithet "cracker" with quiet pride. Ray grew up in a junkyard outside what had been longleaf pine forest, an ecosystem that has nearly disappeared in the American South through excessive logging. Her family had little money, but that was not important; they more than made up for material want through unabashed love and a passion for learning, values that underlie every turn of Ray's narrative. She finds beauty in weeds and puddles, celebrates the ways of tortoises and woodpeckers, and argues powerfully for the virtues of establishing a connection with one's native ground.